The King Salmon you love, in steak form! These meaty, thick, bone-in bi-sections of the fish are perfect for the grill! Season and sear, or grill to perfection. Top with your favorite seafood sauce to make a feast! Don’t let the bones frighten you: once cooked, insert your fork near the center bone and slide out, letting the longer bones guide your fork, to easily separate the meat. The largest of the Alaska salmon species: King salmon has a rich flavor and comes in large, meaty portions to hold up to grilling, poaching and more. 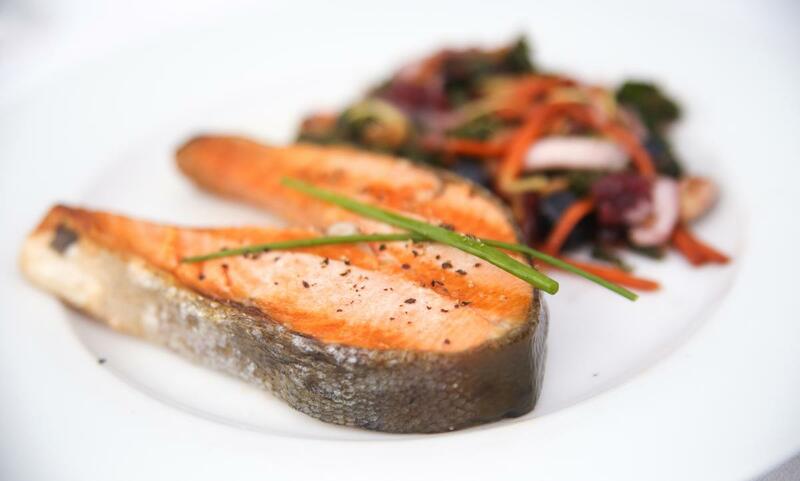 King salmon meat has a firm texture with a succulent finish. A rich source of iron, selenium, Vitamins A, B, D and heart healthy omega 3s.